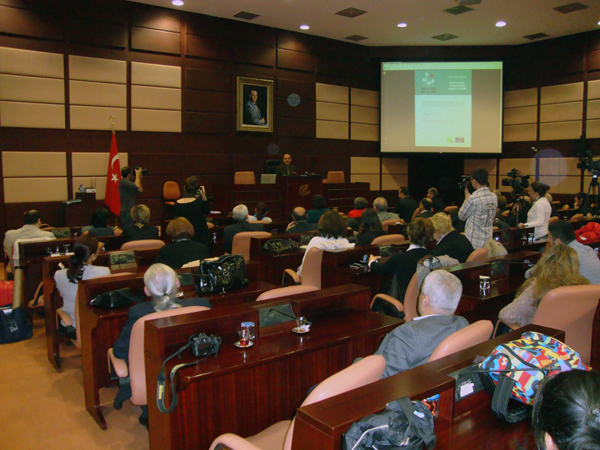 Local level of “One in Five” campaign run by International Children’s Center commenced with a kick-off meeting and a signature ceremony in the City Council Hall on 28 November 2013 in Eskişehir. Over 50 participants comprised of Members of City Council, NGO representatives, Bar Association representatives press members attended to the event. Eskişehir Metropolitan Municipality which is a local partner of the campaign, is the first Turkish municipality which signed the “Towns and Regions” Pacts’ of Council of Europe Congress of Local and Regional Authorities. Opening speeches are done by Prof Dr Yılmaz Büyükerşen, Lord Mayor of Eskişehir Metropolitan Municipality and Prof. Dr. Münevver Bertan, Executive Director of International Children’s Center. Prof Dr Yılmaz Büyükerşen, Lord Mayor of Eskişehir Metropolitan Municipality shared their local and international efforts on well-being of children and emphasized the importance of children for future. Our Executive Director Prof. Dr. Münevver Bertan referred to the importance of international conventions and reminded that; it is the responsibility of the state, local authorities, NGOs, justice mechanism and all adults to protect children from sexual violence. After the opening speeches, “Towns and Regions” Pact was signed by Prof Dr Yılmaz Büyükerşen, Lord Mayor of Eskişehir Metropolitan Municipality in front of participants. 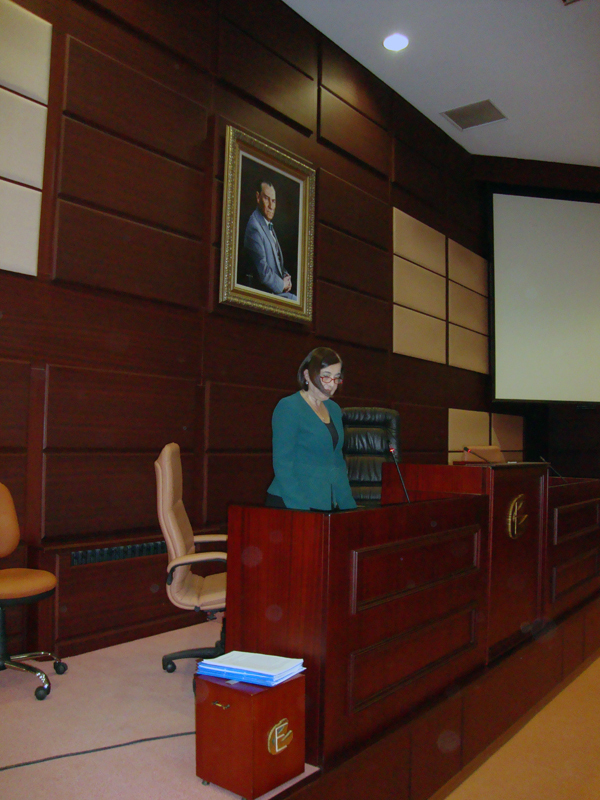 Ms Jale Nur Süllü, Head of Social Services Department of Eskişehir Metropolitan Municipality gave a presentation on “what will be done by Eskişehir Metropolitan Municipality to prevent sexual exploitation and abuse of children”. 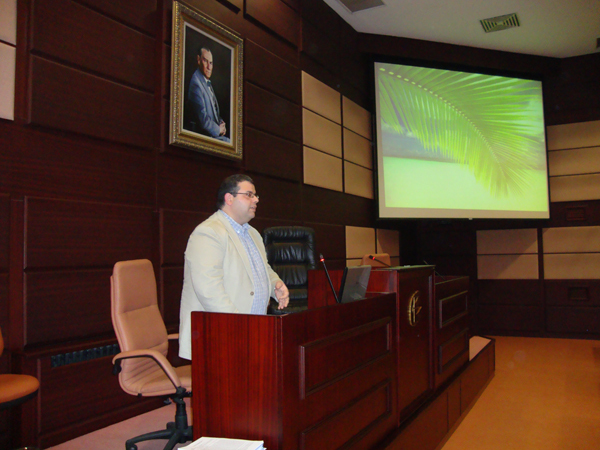 Mr Adem Arkadaş-Thibert, ICC Human Rights and Child Rights Officer, gave a presentation on “Implementation of Council of Europe Convention on the Protection of Children against Sexual Exploitation and Sexual Abuse (Lanzarote Convention) and introduced ONE in FIVE campaign. 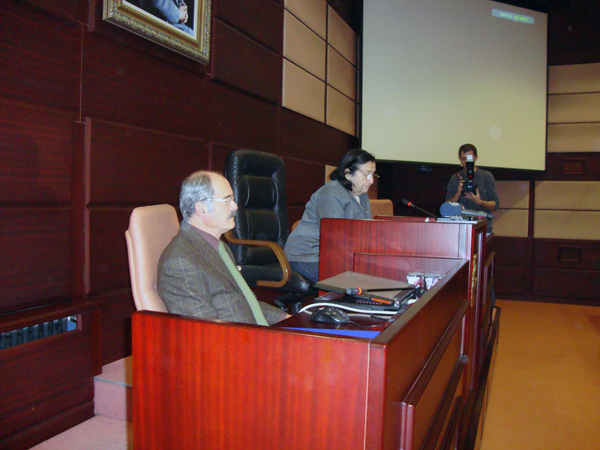 He pointed out the importance of local authorities in successful implementation of “One in Five” campaign activities. Following activities are planned to equip children, their families/carers with the knowledge and tools to prevent and report sexual violence against children, thereby raising awareness of its extent in Eskişehir. · to reach 100 families with children under 8 years old in 2 provinces with One in Five campaign materials.